Discuss Lincoln's original motive to the preserve the Union (why did he find it important to do so) for fighting the Civil War and why he changed his motive to pursue the war for for emancipation. Further, discuss the effectiveness of the Emancipation Proclamation. 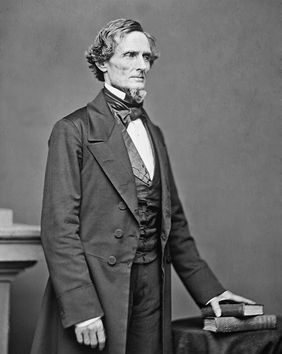 Jefferson Davis was right; the major objective of the war for President Lincoln and the North was to bring the South back into the Union. shown to be errors, and I shall adopt new views so fast as they shall appear to be true views." Lincoln regarded the war as a test of democracy and the legality of the Constitution . To Lincoln any measure necessary to preserve the Union was worth taking. Thus he tried to make the war into an act of faith by defining the war as democracy's struggle for survival. "It presents to the whole family of man the question whether a constitutional republic, or a democracy--a government of the people, by the same people--can or cannot maintain its territorial integrity against its domestic foes. It presents the question whether discontented individuals, few in number, can arbitrarily break up their government and thus practically put an end to free government upon the face of the earth." Lincoln understood the necessity of enabling his countrymen to believe they were embarked on an ennobling crusade. And he plainly came to believe it himself. While Lincoln was defining the war as democracy's struggle for survival, other men around him wanted a different, more radical definition. For them, slavery was the issue . Lincoln knew slavery was the root of the rebellion and he was personally opposed to it. In fact, Lincoln also tried to take the slavery question out of the realm of moral and legal dispute by dramatizing it in terms of free labor's self-interest at the national level. "The whole nation is interested that the best use shall be made of these Territories . We want them for homes of free white people. This they cannot be, to any considerable extent, if slavery shall be planted within them. Slave States are places for poor white people to remove from, not to remove to. New free States are the places for poor people to go to, and better their condition. For this use the nation needs these Territories." Most historians are in general agreement that even if slavery would have spread into new territories, it would not have spread into the free states of the North. At the same time, he shared the view of most Northern white voters that Black people were racially inferior to whites. Even if he considered fighting the war against slavery, he could not conceive of it as a war for Black equality. He was deeply convinced that the Constitution did not give him the power to interfere with slavery within the states. (5) The freed blacks must be shipped out of the country and colonized abroad, but they must be persuaded to go willingly. Thus Federal aid, gradual emancipation , and voluntary colonization were the indispensable features of Lincoln's personal plan. However Congress and political events would not allow this plan to materialize. There were three basic problems that faced Lincoln and the country in 1862: Even with its great manpower, manufacturing, and transportation advantages, the North in mid-1862 was losing the war. And, as the war dragged on longer than expected, this had a great demoralizing effect on the North and the willingness of Northerners to support it. The second problem was the desire of both England and France to see the political power of the United States weakened. This along with their need for southern cotton created the possibility of both countries entering the war on the side of the South. For example with Great Britain, whose cotton manufacturing was its largest industry employed 900,000 workers and received 80 percent of its cotton from the South. Four million people, a fifth of the population of the British Isles, directly or indirectly depended on the industry . The South felt that if Europe did not recognize the Confederacy, a sudden termination of cotton exports would compel intervention. Finally, Lincoln's unwillingness to make the abolition of slavery the key issue of the war caused some of his own party members to attack him and thus his own party was splitting behind him. Thus the Emancipation Proclamation was an attempt by Lincoln to keep Europe out of the war, unite his party and the country, and gain the support of the abolitionists and radical Republicans. For the Proclamation to be successful TIMING was an important factor. According to fairly reliable sources, Lincoln was persuaded by Secretary of State Seward to withhold the Proclamation so that it could be issued on the face of victory . Otherwise, if it came out sooner it might appear to be only a clumsy attempt to draw public attention away from the military blundering and defeats that the Union was experiencing. Lincoln thus laid aside the Proclamation for two months and waited for a victory before making the Proclamation public. The day finally came. On September 22, 1862, five days after Lee's defeat at the battle of Antietam, Lincoln issued his preliminary Proclamation. The preliminary Proclamation provided that slavery would end on January 1, 1863 when Lincoln announced his final Proclamation. The political results of Lincoln's action was to deliver a one, two combination punch that became the psychological turning point of the war. 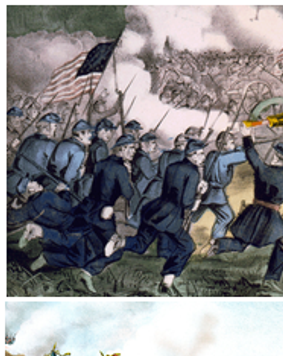 First, was the success at Antietam coupled with Lincoln's clear indication that the conflict was no longer merely a campaign for the restoration of the Union but also a crusade for the eradication of slavery. The war was lifted to a new emotional level and became a war of morality and freedom. Thus the problem of demoralization was solved. Second, both England and France had long been critical of the practice of slavery in the United States before the Civil War. Although a Southern victory would have continued the institution, it would have also split a potential great power in the western hemisphere and made it easier for both countries to exercise their influence in the region. Taking into consideration the amount of cotton the South supplied England, it was only logical that she was rooting for the South. With the early military victories of the South during the first two years of the war, England and France were ready to support the Confederacy. However, the combination of the victory at Antietam and Lincoln's announcement that the North was fighting the war.Jo end slavery made it almost politically impossible for either country to enter the war on the side of the South. 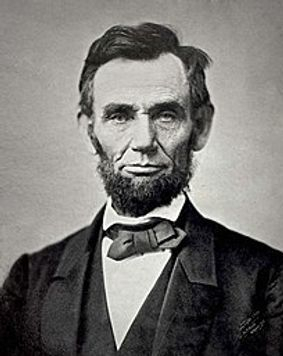 One mouth earlier too the day, on August 22, 1862, in a response to Horace Greeley's editorial "A Prayer of Twenty Millions," which urged emancipation, Lincoln replied, "My paramount object...is to save the Union, and it is not either to save or to destroy slavery." Although Lincoln had already written the preliminary Emancipation Proclamation the need for TIMING led him to make such a statement to the press. Finally, since Lincoln supported the abolitionist cause, there was little the radical Republicans could do but to support him. After all he was doing as they wished. Lincoln's calculations proved correct even with the cotton famine in Europe. The issuance of the Emancipation Proclamation and the increased evidence of federal military success kept England, France and any other power from recognizing the Confederacy . Also all of the border states remained loyal to the Union. THE DOCUMENT THUS STANDS AS A MONUMENT TO LINCOLN'S SENSE OF TIMING, HIS SKILL IN MANEUVERING, AND HIS ABILITY TO COMPROMISE. Hence, on the day it was issued, the Proclamation actually frees no slaves, since it applies only to areas not under Union control and exempts the four loyal slaves states and areas of the South under federal occupation. The Confederacy viewed the Proclamation as confirming its view of Lincoln as a hypocritical anti-Southern abolitionist. As Union forces captured more and more southern territory, it automatically extended freedom to the slaves in the newly conquered regions. The Proclamation may thus be regarded as a milestone ON THE ROAD to final freedom as expressed in the Thirteenth Amendment of December, 1865. As mentioned, Lincoln was conscious of the necessity to retain the support of both the border states and the northern Democrats. He wisely refrained from pressing the antislavery issue prematurely, although he did sign several confiscation acts that were passed by Congress in 1861 and 1862. In the confiscation act of August 6, 1861, it was provided that, when slaves were engaged in hostile military service, all owners' claims to the labor of such slaves were forfeited. On April 16, 1862, slavery in the District of Columbia was abolished, with compensation to the owners. Emancipation in the territories, without compensation, was provided by another act of June 19 of the same year. This act challenged part of the Dred Scott decision of 1857. On July 17, 1862 another confiscation act provided that, if anyone committed treason, his slaves were free; as to all persons supporting the "rebellion" it proclaimed that their slaves should be · "forever free of their servitude, and not again held as slaves." The issuance of the Emancipation Proclamation by Lincoln, and the manner in which it seized the popular imagination, caused these emancipatory acts of Congress to be almost overlooked; and it is seldom realized that before Lincoln's Proclamation was issued in September, 1862, Congress had done as much, at least on paper, as was done by the Proclamation. Because of the ineffectiveness of the legislation, and the lack of coordination between President and Congress, Lincoln, in issuing his edict, acted as if Congress had done nothing, and as if he were attacking the problem anew. The Proclamation did not meet with everyone's approval. "The only effect of it," wrote Orville H. Browning, one of Lincoln's closest friends and strongest supporters, "was to unite and exasperate the South and divide and distract us in the North." A mutiny broke out in the army as men who enlisted to save the Union swore that they wouldn't stand up and be shot down to free "niggers" and make them their social equals. Thousands of soldiers deserted, and recruiting fell off everywhere. But compared to their pre-war status, even in the free states the legal and constitutional position of Blacks improved as a result of the Proclamation. It initiated an irreversible revolution in race relationships leading to the Thirteenth, the Fourteenth and Fifteenth Amendments, plus additional civil right legislation from 1866 to the present.